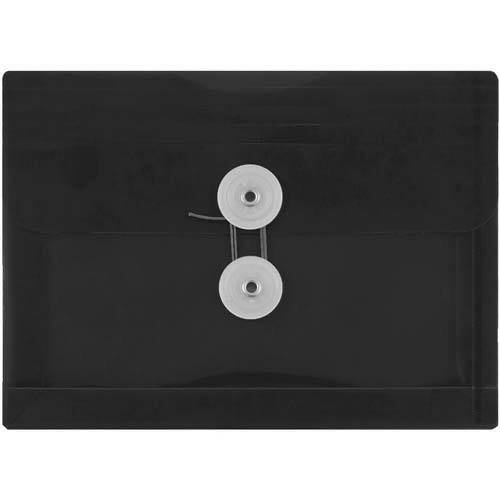 When you combine sturdy plastic, sleek black colors, and an easy-to-use button-strong closure, you’ve got yourself the perfect envelope for your index cards! When you buy Black Plastic envelopes with button & string closure, you’re one step closer to being truly unique. Currently coming in only one style (button & string closure), your index cards are guaranteed to be secure. They also feature a 1-inch expansion, so you'll have plenty of room for your stack of cards. Pop one of these into your bag, folder, or briefcase and you’re good to go! No minimum order, but huge savings if you buy in bulk!